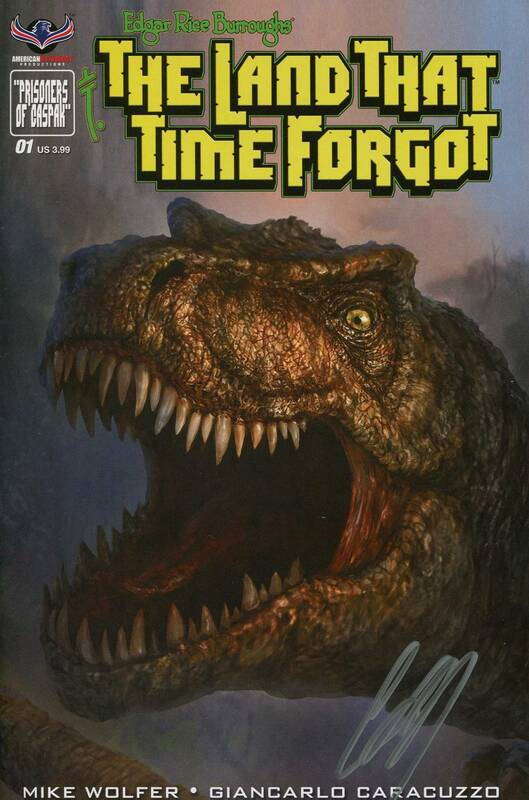 Horror comics legend, Mike Wolfer and letterer extraordinaire Natalie Jane sign this hard to find incentive cover edition of the sequel to Edgar Rice Burroughs' The Land That Time Forgot! This edition comics bagged and boarded with a certificate of authenticity. Allocations may occur.